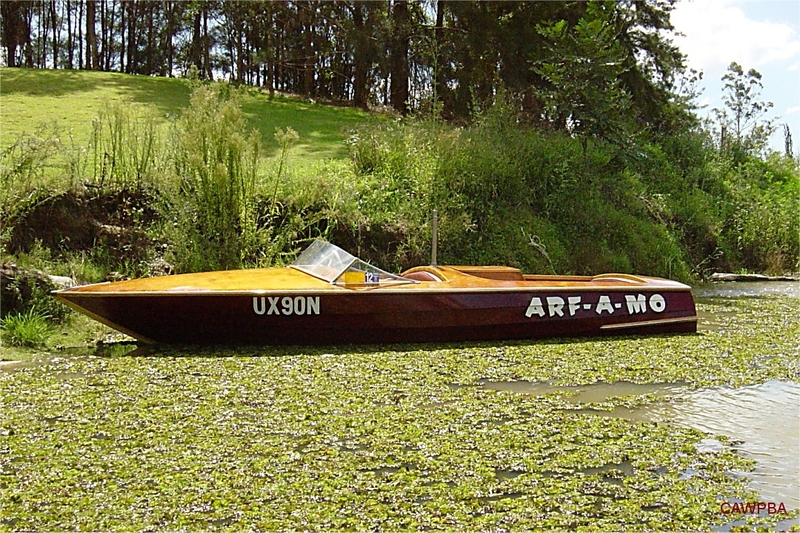 ARF-A-MO is a 17' Lewis runabout built in 1969. 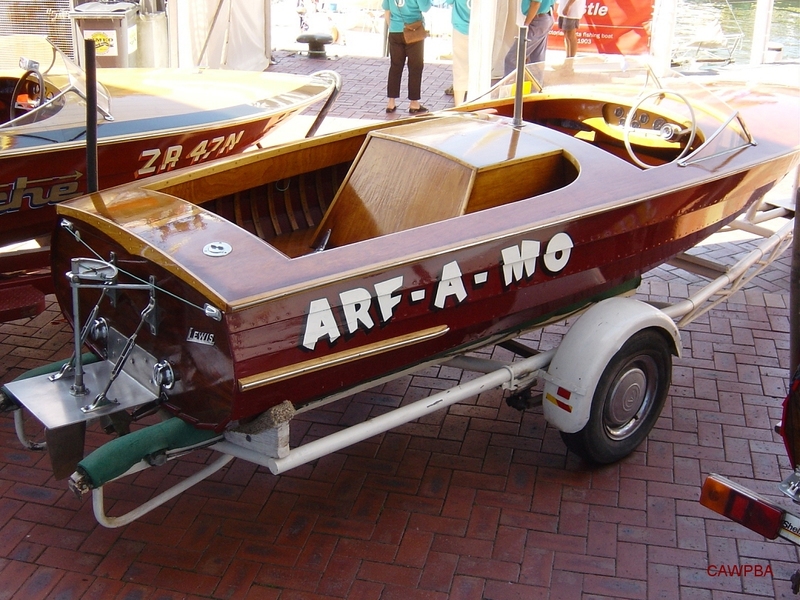 The classic Ritchie Lewis built runabout was purchased new and is still owned by Arthur Lighezzolo. The boat has been used extensively on the Hawkesbury River in NSW by Arthur and his family over the decades of his ownership. ARF-A-MO was refurbished in 1994 and this work included renewing a couple of rotted planks and the transom. The remainder of the boat was freshened up and treated to a new paint job. The original Ford 292 ci V8 is still performing strongly.